Guess what? this is another Aesop’s fable and the moral of the story is, Never forget a return statement, not even when it is dumb. Now what? 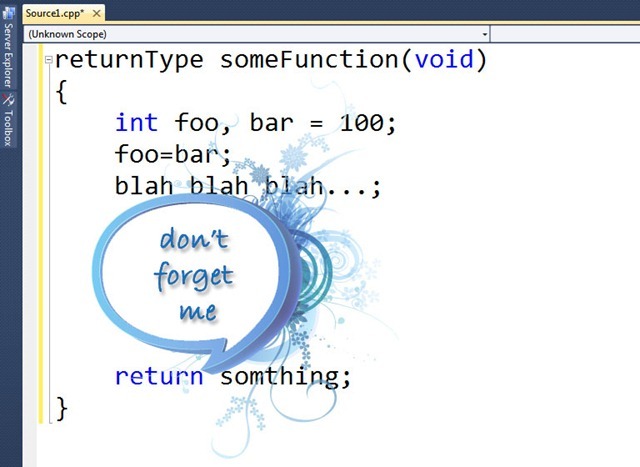 I’m the guy who suggest a lot, so let me pose a suggestion, “write a return statement in the very moment you type the braces of the function; return statement shall be the first code you do in your function”. Duh, it is enough for now let me log off!